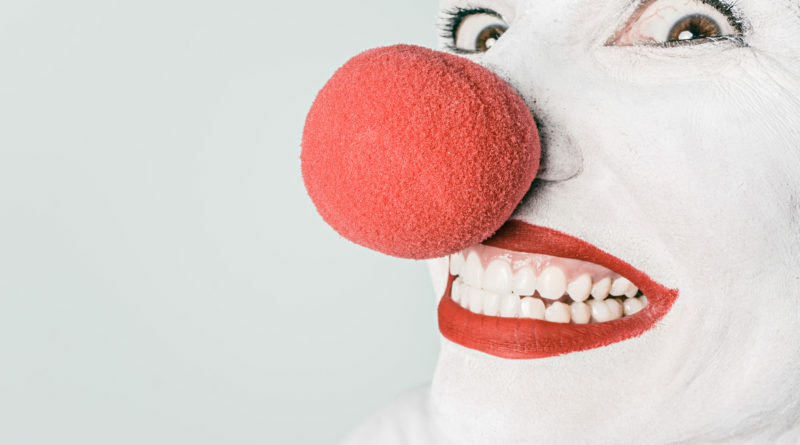 First of all… we apologize?for making you witness the terrifying clown photo above. Second, we regret to inform you that the bizarre creepy clown phenomenon that has hit the U.S. has made it’s way to Westchester. It all started this weekend when News 12 reported that a photo of teen wearing a clown mask and holding a BB Gun in Newburgh surfaced. News 12 and local police tracked down that teen. He was not arrested or charged and his identity was withheld. NEWBURGH – A bizarre, national social media prank hit Orange County, where a seemingly armed clown wound up sparking serious safety concerns and a police investigation. A photo, which seemed to depict an armed clown standing on a train trestle, circulated Facebook over the weekend. Lohud.com reports that?Facebook and Instagram?accounts for a “Clownjohn Jacobs” and “Mount Vernon Clowns” are now trying to freak people out in?Westchester. It seems that the accounts are just a bunch of teenagers who are harassing and engaging each other on social media over nothing. Lohud reports that Clownjohn Jacobs mentioned?22 schools including several in Yonkers, Mount Vernon and New Rochelle in his post. Mount Vernon Police Commissioner Ron Fatigate told lohud that they don’t think the threat is serious and people should not be nervous about it. Just to be aware of it. Mount Vernon is working with other local police departments to find the person making the threats. The Facebook and Instagram accounts “Clownjohn Jacobs” and “Mount Vernon Clowns” have brought the creepy clown scare to Westchester. The posts follow the nationwide trend of threats made by creepy clowns on social media, with accounts purporting to be threatening clowns appearing on platforms such as Facebook, Twitter and Instagram. Reports of clowns haunting more than 20 states have people on edge. And, the reports keep coming. Recently, a Philadelphia school district reported that police were investigating threats made by creepy clowns on social media. Likewise, the Spring Independent School District in Texas issued a security statement due to new clown threat hoaxes made online.